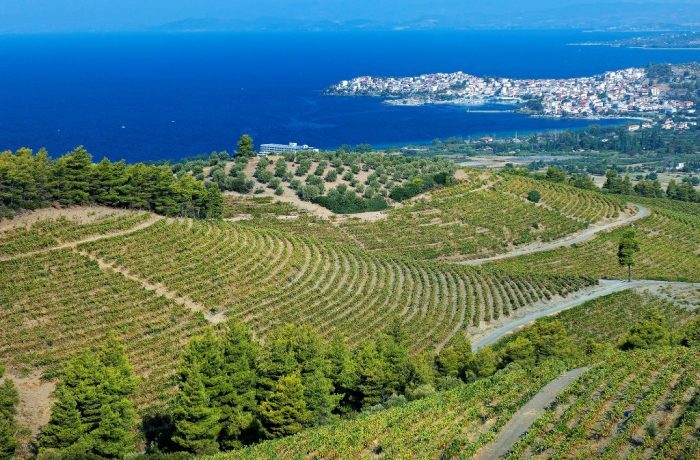 The hilly areas in Sithonia create excellent ecological conditions for cultivating the 24 select varieties that thrive on the south-western slopes at an altitude of 200-300 m.
These conditions allow the Assyrtiko, Athiri, Malagouzia, Sauvignon Blanc and Rhoditis varieties to produce the highest quality white wines. 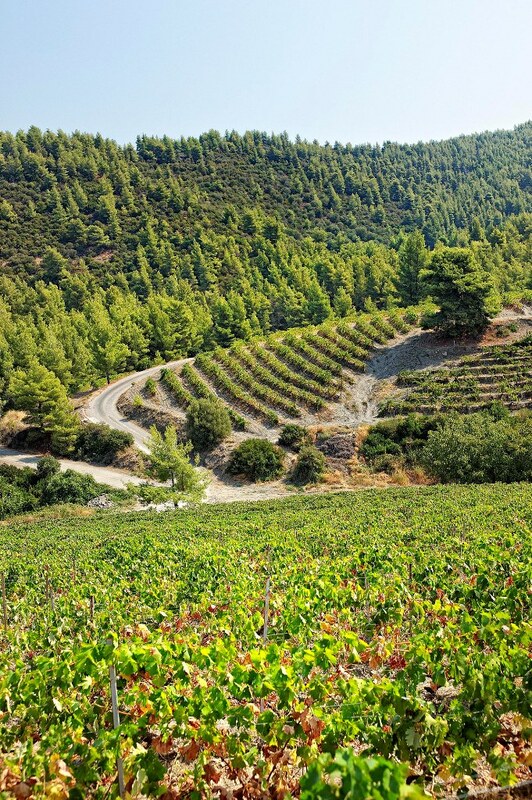 Malagouzia, a variety almost extinct, was revived at Domaine Porto Carras; after experimental plantings, the possibilities of the variety were recognized and the production of high quality and balanced wines with high aromatic potential, began. Among the red wines, the famed Greek Limnio variety referred to in texts of Aristotle stands out accompanied by the cosmopolitan varieties Cabernet Sauvignon, Cabernet Franc, Sauvignon Blanc, Merlot and Syrah, which at altitudes from 300 to 400m have adapted wonderfully to the cool north-eastern slopes of the region. 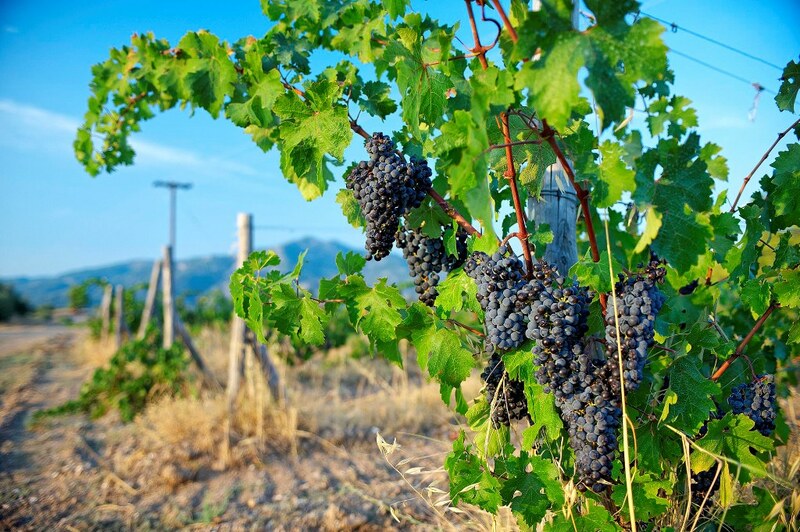 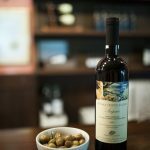 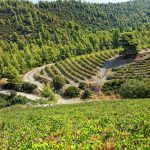 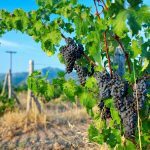 Plan your visit to the largest organic vineyard in Greece! 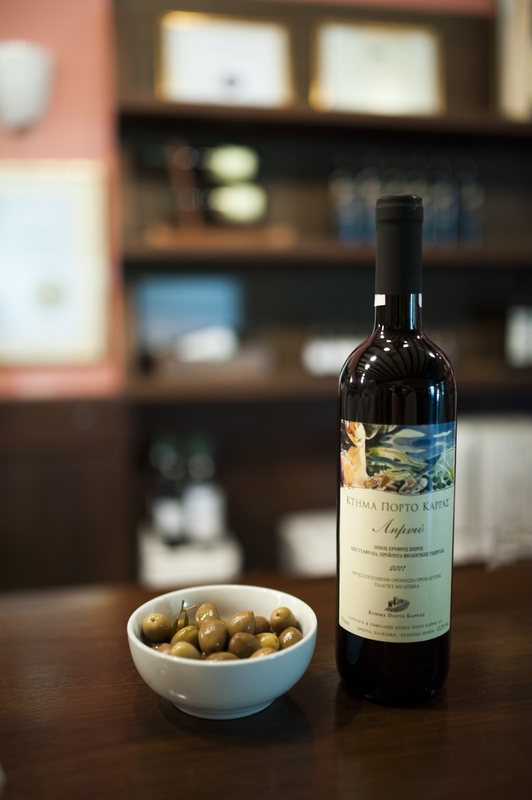 Domaine Porto Carras offers different tours for a complete wine experience.